If you are going to lose in a final, it may as well be to a team which has borrowed many of your players. 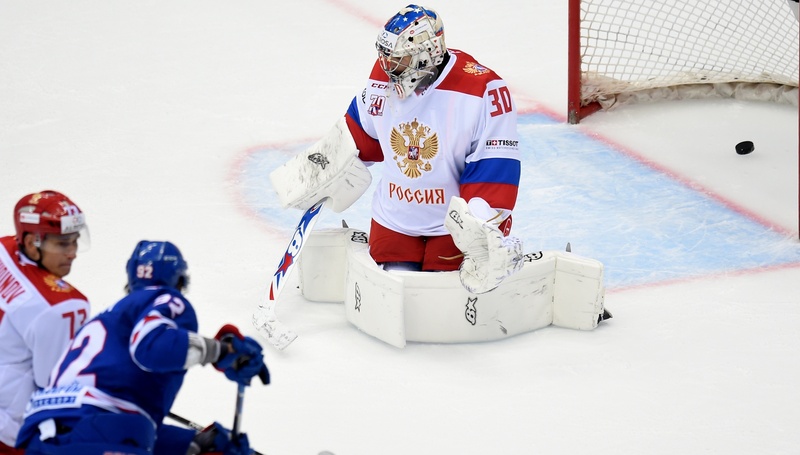 SKA's highly-rated young goalie Igor Shestyorkin guarded the Team Russia net and Petersburg's formidable defenseman Maxim Chudinov grabbed a goal against his team-mates in an entertaining grand finale to the Sochi Hockey Open tournament. Team Russia drew first blood in the 6th minute through Lokomotiv's Yegor Korshkov, but SKA stormed ahead with two goals in 67 seconds – via Dergachyov and Kovalchuk – and Viktor Tikhonov added a third soon after the interval. The deficit was soon halved with Chudinov's goal, and as we entered the final five minutes of regulation time, Ufa's Vladimir Tkachyov made it 3-3 to enable Kazan's Vladimir Tkachyov to clinch victory in the shootout. Before this third-place playoff got underway, Sergei Mozyakin was presented with the award for being the tournament's best forward, thanks to his 4 (2+2) points in the group stage. In the game itself, however, victory went to Canada and center stage belonged to Mason Raymond. The SC Bern forward opened the scoring, and then, after Sergei Tereshchenko had leveled, Raymond produced a Mikael Granlund-style scoop-and-score goal, which turned out to be the game-winner. Justin Azevedo of Ak Bars made it 3-1. 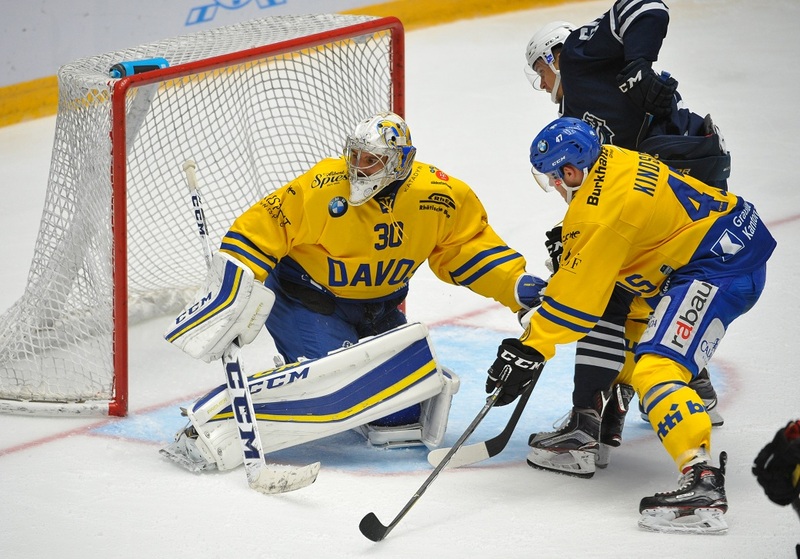 It was another bad day for Alexander Andriyevsky's Admiral as the men from the Far East were kept off the scoreboard for the second time in 24 hours, shipping four unanswered goals against Davos of Switzerland. Young Swiss forward Dario Simion inflicted the most damage with a double and an assist. Barys boss Evgeny Koreshkov decided to give a run-out to local legend Nigel Dawes, and the tactic tipped the balance of this match in the hosts' favor. After 20-year-old forward Dmitry Zhukenov - back in Russia after two QMJHL seasons with the Chicoutimi Saguenéens - gave the Omsk Men a surprise lead a mere 23 seconds into the game, Dawes replied before the three-minute mark. Further strikes from Vey and Dallman seemed to have put the game out of Avangard's reach, but Nikita Lisov's goal kept the result in doubt until Dawes grabbed the game-winner halfway through the third period. Semyon Koshelev scored a late 6-on-5 goal for the Omsk Men but it was too little, too late. Vityaz continued its stunning preseason form with a convincing victory over Dinamo Riga in Kassel, Germany. The men from the Latvian capital swiftly surged into a 2-0 lead, but Valery Belov's men stormed back with five unanswered goals, leaving Sandis Ozolins with plenty on which to ponder. Goals: 1-0 Kristo (Bicevskis, 1.14), 2-0 Bicevskis (Galvins, 12.24, PPG), 1-2 Pankov (Semenov, 16.46), 2-2 Burstrom (Kopeikin, 25.46, PPG), 2-3 Shvets-Rogovo (Gimayev, Mankinen, 33.32), 2-4 Horak (Rissanen, 34.41 PPG), 2-5 Mankinen (Rissanen, Kopeikin, 35.02 PPG). In the game between the other two tournament participants, Milos Riha's Slovan extended its losing streak with a 2-3 reverse against the hosts.